Alitalia rated 2 out of 10 from 66 reviews. NEWS: Etihad Airways is set to buy half of Alitalia, giving it a European strategic foothold. Exact plans from Etihad are unclear, and the buyout is subject to final approval from European regulators, but 2,200 jobs are forecast to go. It is unclear what will happen to Alitalia's orders for 12 new Boeing 777-200ER and 12 new Airbus A350-800 aircraft, which will mainly be used to replace the current A330-200 aircraft, and which will be delivered in 2014 to 2015. Ah, Alitalia. Where would we be without Europe's least favourite carrier? Notorious for strikes, blighted by buyouts, with sub-par lounges and inflight it is no wonder that many Alitalia Reviews have in the past been negative - and that's putting it mildly. Indeed, for many years it was impossible to mention Alitalia in the same sentence as 'are they still going?' Your reviews of Alitalia flights. However, that's not to say it is all negative. 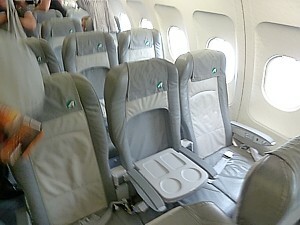 Longhaul in Business Class Alitalia can just about hold its own, and it still has a decent-ish full service mentality. Make no mistake though, it is very Italian, and that isn't always a complement. If you image settling in to a plush seat and heading to the land of the ancient gods with a modern trolley-god servicing you with the finest Italian delicacies, you'll be in for as much of a shock as when you hit Rome itself. Modern Italy has been on its uppers for years, and so it is with Alitalia in economy: the inflight snack is basic at best, and might be more suited to a supermarket snack bar. 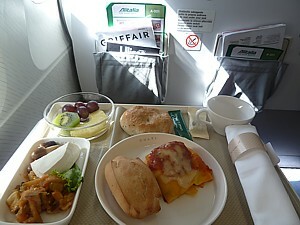 The crew do the briefest of runs through the plane, and seconds are definitely not on the menu.Alitalia inflight meals. There is a fleet of just twelve longhaul Airbus A330s, and ten Boeing 777s, and so the longhaul route network is pretty limited. From the US just New York, Chicago, Boston and LA remain, plus Toronto north of the border. Mind you, the list of destinations no longer served and axed by Alitalia is vast, from Singapore to Bangkok to Beijing, Hong Kong, Delhi and Bombay. Indeed, going east, only Abu Dhabi, Moscow and Tehran plus a couple of routes to Japan remain. 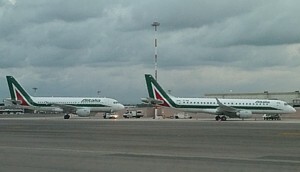 Alitalia routes & destinations. However, if Alitalia have put a lot of cash into the product in the air, on the ground things can be woeful, even in the business class. Alitalia Business Class lounges are woeful. At the Rome hub, the lounge is so bad, it is better to kip outside the one remaining lounge in each section of the airport. There is however a decent new lounge at check in, although it is so small it is rather like a café. 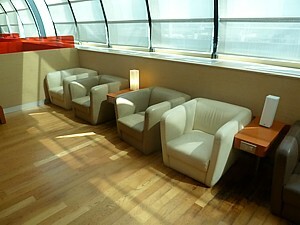 Alitalia Business Class Lounges. Alitalia inflight entertainment is OK, with Personal TV screens for entertainment in both classes longhaul, and seatback TVs are even in economy on a few (rare) Airbus A320 and A319 planes which are used for the longest flights around Europe. Mostly though shorthall you'll be making the best of a cheap sandwich and reading somewhat dire inflight magazine. Alitalia seatback TV details. 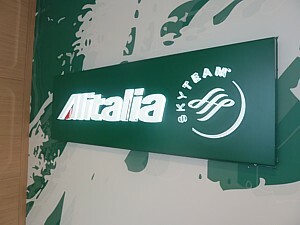 Reviews of the Alitalia Frequent Flyer scheme "MilleMiglia" (literally 'thousand miles') indicate it isn't the best, but at least it is part of the Skyteam Alliance, so you can earn miles on Air France, KLM, and Delta, among others. Alitalia is no tiddler though - carrying 24 million passengers a year. Most are in economy, and on shorthall flights, and it's here there are problems. Alitalia reviews of economy shorthall are perhaps the most negative, with little to distinguish the airline from other lesser European carriers, with little inflight service or perks. Alitalia inflight experience. 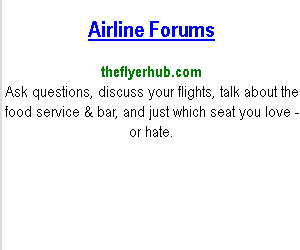 Alitalia, however, definitely isn't Alitalia. Oh no, since 2009 it is now Alitalia-CAI, a totally different company, which refused to honour passengers claims against the old bankrupt Alitalia - Linee Aeree Italiane which went bankrupt in 2008, with losses of over 600 million euro a year. However, things haven't fared well for the new Alitalia either, and facing losses of 280 million euro a year, issues over fuel supplies, and a possible grounding by Italy's civil aviation authority, the airline has announced yet another half-billion euro rescue package. All this comes amid the bad publicity resulting from Police arresting dozens of Alitalia staff at Rome's Fiumicino airport, for rifling through, stealing from, and intentionally damaging passenger's baggage. On the whole, Alitalia really lives up to its slogan "Muoviamo chi muove l'Italia" (Literally - "We move the people who keep Italy going") which can be very true on occasions and can be taken two different ways, as you can be very moved by some parts of Alitalia. At least the slogan is better than the old one, "Volare, nella tua vita" (which meant "Flying, oh your life"). Now that really wasn't the best, in PR terms. 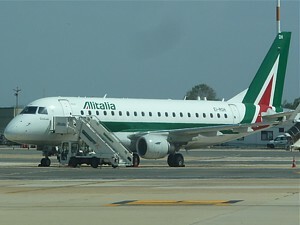 Alitalia Embraer at Rome Fiumicino airport. 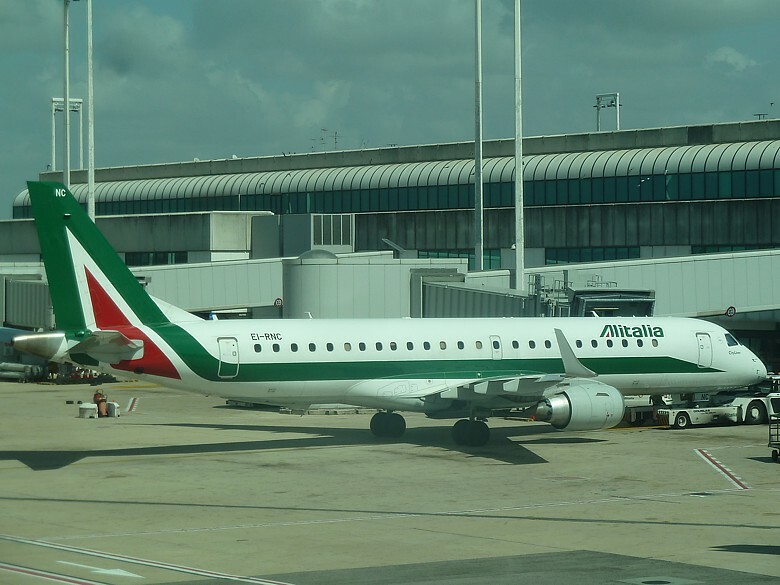 All reviews and opinions on Alitalia food, service, seats, planes, upgrades, lounges, and the Frequent Flyer scheme are given as a personal opinion. No legal liability is accepted if you take my advice.